Young people tend to listen to people they like, trust and respect. We will never give up on children and our facility provides role models and a powerful mentoring relationship that motivates and encourages young people to face life's challenges with a positive mental attitude. We also stree non-violent conflict resolution, how to avoid dangerous situations including not being encouraged through peer pressure into doing wrong. your child will be taught to take responsibility for their actions and attitudes. 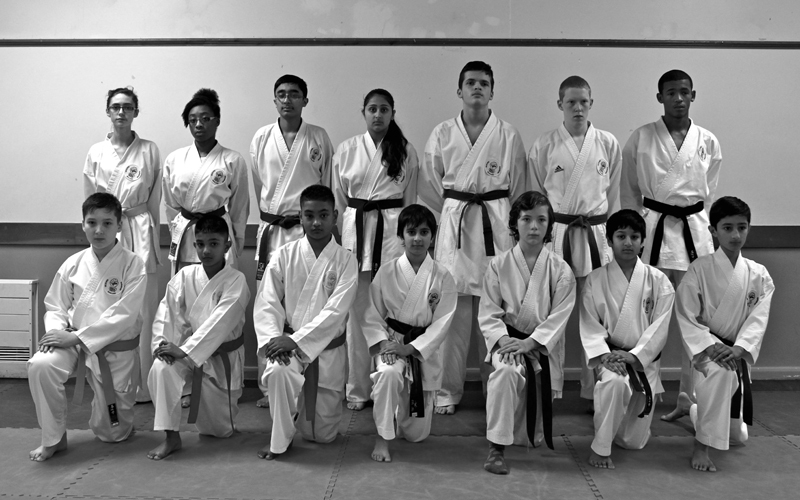 "Karate helps instil a sense of purpose and direction in the lives of young people. Respect, discipline self-control and focus in your child's life forever." Children and young people need an outlet to let off steam and pent up frustraions. 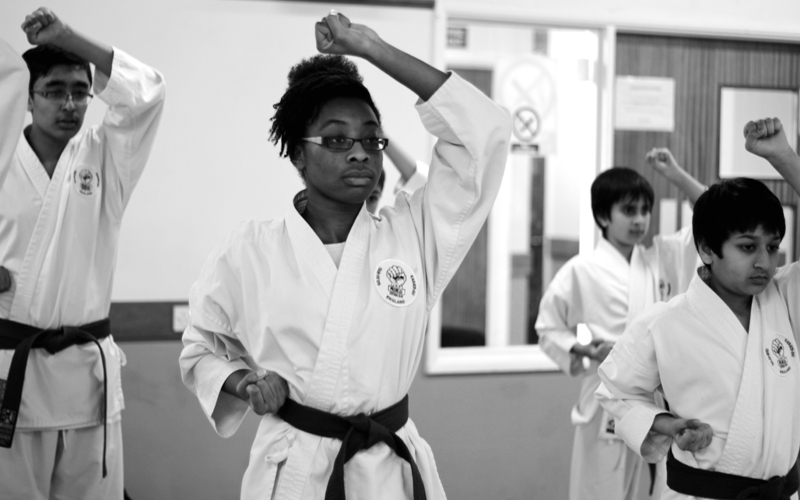 Intensive research has shown that young people who channel their energy in a sporting activity and in particular, karate, are better prepared to cope with difficult situations in life and make rational decision. They are also less likely to develop bad habits or get involved in violent conflic and unsociable behaviour. Respect, discipline, self control and focus are the four primary areas that we concentrate on. Our curriculum includes high-energy drills and skills designed to build and condition each child's attitude, behaviour and overall character development. 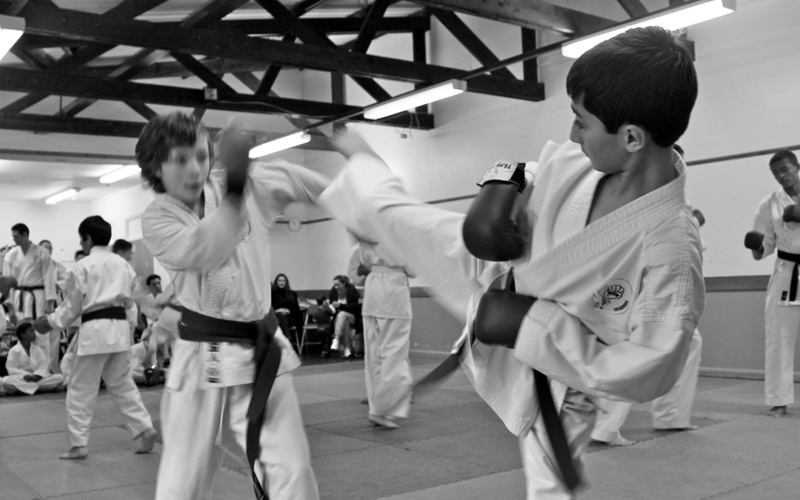 Our practical martial arts training skills for children include; meditation, yoga stretching, FUN-damental cross-training drills, basic karate techniques, competition fighting, pad work and more. Our instructors are CRB checked and fully qualified with many years of experience in teaching young people. For membership, start-up and lesson fees, please contact us. One-to-one training is available upon request. Training at ELSK has improved my concentration and physically, I feel I am stronger and more flexible. Having trained since I was 6, karate has helped in so many ways. It has given me confidence and focus throughout my life and within my school. I enjoy karate because it has improved my focus, confidence and fitness. It definitely has helped me with self defence, because you learn techniques to help you if you're in an unsafe situation or getting attacked. Zak has been coming to ELSK for just under a year now. He is so much more confident with a positive attitude. Sensei Kim and Sensei Pam are always very supportive and always ready to help with any issues. Eddie has been coming to the School for about 3 years now. Karate helped him boost his confidence. The instructors are great and are very supportive as well. As a parent, I'm also asked to take part in social evenings organised by the club, which gives me the opportunity to meet new people and make new friends.